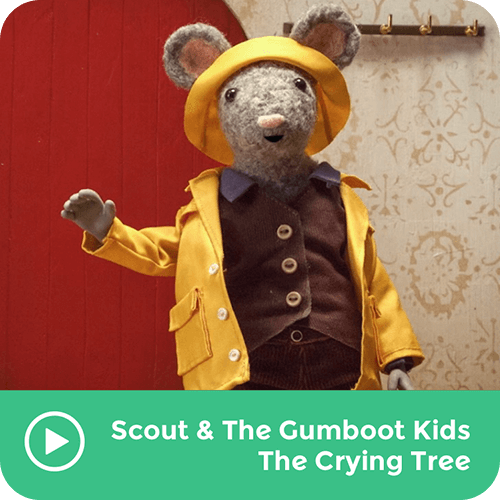 You and The Gumboot Kids set out to solve the mystery of a crying tree. Scout gives you three clues: water, shade, teardrop. After you've cracked the case, take a Mindful Moment to observe and appreciate nature.